See updated review below...I did not finish reading this book. I know that it is just a fiction novel, but there were too many things in this book that were troublesome to me that I believe Christians should not put themselves in the situation to have to endure if they can help it. I do not recommend this book. It is gnostic and if someone wants to study gnostism they should instead read the gnostic gospels for themselves, not books such as this. UPDATED:I attempted to read this book last summer when it was fairly new out and there was so much attention going on to the DaVinci Code stuff. I was thrown off and was not interested. Because of a blog tour I decided to give the book another chance. The book deals with a "what if" scenario of some lost letters of Paul to the Corinthians. The idea of lost letters is true enough, the what if is from the author of this book here. For a book, this is a fairly good and adventurous story. The tale is interesting and does keep one turning pages and curious. Overall the main message is the love of Christ, and it is sad I feel that I was turned away from this book earlier on, because of what I assumed it would be. I'm very glad that I had a chance to redo those thoughts. I do recommend this book for those with a desire for adventure. Some have said this is on the lines of Lawhead, and while I wouldn't quite say that, it still is an enjoyable and entertaining read with the love of God as the main theme through out. Even if it is a little charismatic. Most of Lisa's books I can dive right into and get lost quickly. This one took a little bit more for me to get into, but once I did, I'll admit the story had me hooked. I look forward to reading the next in the series. It is a great fictional account of spiritual warfare. AwesomeAbsolutely love the story line!! I said it once and I'll say it again...I love the way Lisa writes and I love the way she can make the reader feel like they are right alongside the main character. You feel like you are in the story as you read it. It takes you to another time and dimension!!! Keep up the great writings! I would absolutely recommend all of her books. She never lets you down in her writings. I liked the story line and the characters. It was just difficult to stay involved. I found it odd to desire to know what happened and again like the characters but just didn't want to pick it up each time. This is first book of a trilogy -- and the second two books haven't been published yet! I didn't realize this till I was almost at the end of the book and it annoyed me. 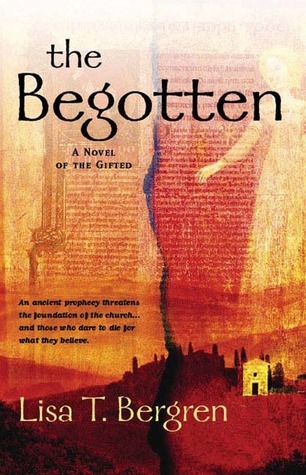 The plot is imaginative - a medieval priest possesses a part of a letter to the Corinthians supposedly written by the apostle Paul that foretells the coming together of the Gifted. The priest has the gift of wisdom and, through God's providence, he meets an Italian noblewoman with the gift of healing and a couple others of their group. Together they will fight the evil forces of darkness and bring a message of God's love to the people -- and, in defiance of the Catholic leadership, a message that people can read God's Word on their own and do not require a priest as mediator. I wanted to like this book. It sounded so interesting when I picked it up, but for some reason I just couldn't get into it. The characters didn't interest me, the story didn't pull me in. I read over 100 pages and still felt like the story hadn't started yet, and I wasn't particularly attached to anything about the book that made me want to keep going just to finish it. Maybe I'll pick it back up one of these days, but I have so many other books I want to read, I didn't want to waste my time reading something I wasn't truly enjoying, that felt like a chore to read. Moving on to the next book now. a priest in possesion of a lost letter of paul believes that he and a young lady he just met are members of the "gifted", a group of people with extraordinary spiritual gifts called to fight against the enemy. set in italy in the 14th century. the lady daria, the priest, a knight, and the others who join them are opposed by a sorcerer. [return]some may balk at an "undiscovered letter of the bible" being a focal point of the story, and at the miraculous illuminations. but good or bad it does make for a pretty compelling story. This book was pretty good. I enjoyed the characters and cared about them. However, the villain was pretty dull, no personality really (unless evil is a personality) and unlimited power, except against God of course. I was also a little disappointed with the fact that this is a trilogy. I feel like the book was stretched a little. I hope the next two don't move at such a snail's pace.I don't think I'll be finishing the trilogy, unless I get really desperate. I liked the story idea and I liked the main characters Piero, Daria, Gianni and Hasani. Great potential. Instead I was really, really bored. The strong religious undertones put me off as well. The characters did not have any life in them and were very one-dimensional. It all seemed terribly wooden and the writing style felt so antiquated. Not that antiquated has to be boring. But this just did not have any suspense. This book could have been a short story instead. Or perhaps all books in the trilogy could have been combined into one. The easiest way to accomplish this would be to take out the preaching that overrode nearly everything. *sigh* I think I need to look at the covers and reviews a little more carefully from now on. Although I typically do not enjoy books that recite scripture and use too much religous rhetoric as part of the plot, I found this to be a welcome change. I really enjoyed how Bergren wove religion into her story. I could not put it down and am anxiously awaiting the opportunity to finish this series. You must remember this is fiction. Paul did write of God's gifts. This is a book that runs with both of these thoughts in mind. Good against evil. The beginning was a little slow, but I cannot wait to read the next book. This got off to a bit of a slow start, but once the plot became clear, it really took off. I liked the characters, the good vs. evil, the action, the hint of romance... this book had a bit of everything in it. Looking forward to the next 2 in the series. First in the series. Very good and have ordered the next two books from Amazon and should arrive soon. Easy read but felt it took awhile to feel the pace of the story quicken or really draw interest into the characters, thus just okay. Had some nice moments but I won't be reading the sequels. See my review under book 3: Blessed. I didn't realize it was part of a trilogy until the end so I'm still adjusting my mental set. I am definitely reading book 2 and 3. I had read this previously and forgotten. Reread it to prepare to read Blessed and Betrayed the sequels. Reminds me of the DeVinci code and Angels and Demons by Dan Brown..
Really enjoyed this. Did not realize it was the first of a series, so felt disgruntled when I got to the end and it was inconclusive... but eventually I might get the other books and finish it. Really enjoyed this story. Moves right along and you cannot help but love Daria, a strong intelligent and faithful woman. Packed - hold on and take a deep breath... get books 2 and 3 soon! it was alright but i hated that the author let it end w/ a cliff hanger. that's a cheap ploy to sell more books. Lisa Tawn Bergren - AboutLisa Tawn Bergren is the best-selling, award-winning author of over 40 books, with more than 2.5 million copies sold. She recently finished a teen series called Remnants (SEASON OF WONDER, SEASON OF FIRE, and SEASON OF GLORY). She's also written the River of Time Series (WATERFALL, CASCADE, TORRENT, BOURNE & TRIBUTARY, DELUGE) and The Grand Tour Series (GLAMOROUS ILLUSIONS, GRAVE CONSEQUENCES, GLITTERING PROMISES). She just released a new time-slip romance duology called River of Time: California (THREE WISHES and FOUR WINDS) and is researching her next trilogy, The Sugar Baron's Daughters (releasing in 2018).Lisa’s time is split between managing home base, writing, consulting and helping Tim with his business. Her husband Tim is a sculptor of ducks-out-of-fenceposts (RMRustic), graphic designer and musician. They have three kids–Olivia (21), Emma (18) and Jack (13).All five of the Bergrens make their home in Colorado Springs, Colorado.